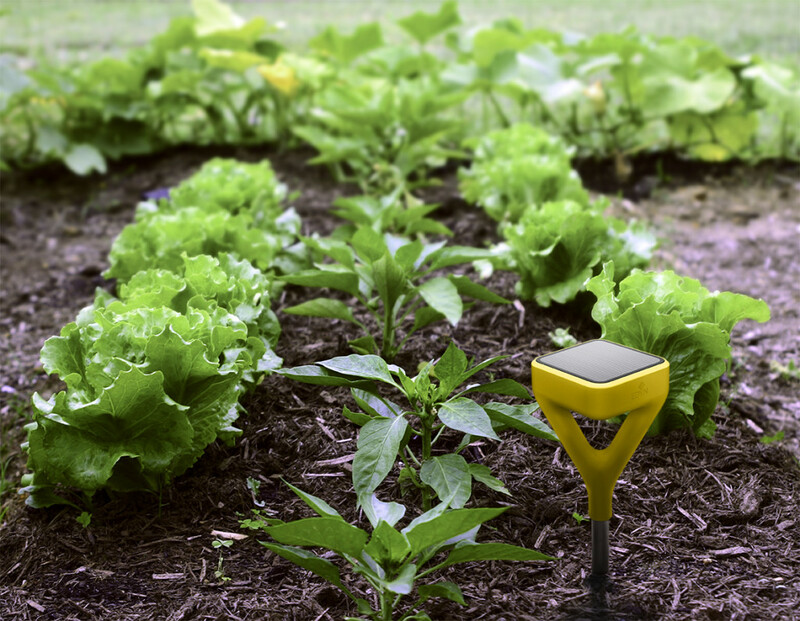 The Edyn Wi-Fi garden sensor will monitor soil and weather, alert your iPhone and trigger a wireless water valve for irrigation. Accordng to The Next Web, Edyn’s creator, Jason Aramburu, worked as a soil scientist prior to inventing the company’s devices. The product is designed to help both expert and novice gardeners. Fuse Project contributed to the hardware. The Edyn sensor runs off solar power and connects to your WiFi network. It uses electrical impulses to monitor the state of your soil and then combines that info with other sensors (temperature, light, humidity) and online weather data to come up with recommendations for your garden. If you need advice on what to plant, it can suggest pairings of different crops. The hose attachment serves as the other piece of the Edyn system. You connect it between your garden hose and a drip irrigation system to automate your watering. The Edyn sensor can adjust the amount of water your plants get if the day is rainy or especially humid. The Edyn mobile app will act as your garden’s dashboard, serving up data on the state of your plants. You’ll get push notifications when your garden is watered, as well as alerts when you need to add fertilizer to your soil. The compant’s sensor will cost $99 for backers, though an early-bird tier can get the device for $79. The combo pack of the sensor and the hose attachment will set you back $159. The first shipments are expected to go out in December, with the bulk of campaign rewards arriving in time for Spring 2015 planting. Edyn will also run a Toms-style buy-one-give-one tier that lets you purchase a set and donate one to growers in developing areas, such as Africa.